Free postage and packaging only applies to delivery in the UK. Window Blind Spares will aim deliver your goods to the address you have provided on the order form within 2-5 but no more than 7 days from the day your order was placed. Replacement Fabric for Vertical Blinds is made to measure and will take approximately 7-14 working days to deliver. Whilst we shall use every reasonable endeavour to meet the delivery date specified we may, on occasion, experience delays outside of our control. Ownership of, and risk in, the goods will pass to you once they have been delivered to you. If you return the Goods ownership of, and risk in the goods returned will pass to Window Blind Spares on receipt of the goods by us. 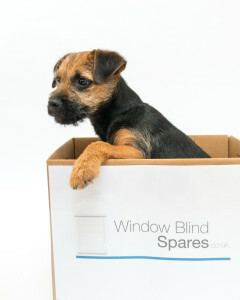 Window Blind Spares is happy to deliver outside of the UK but additional shipping costs will apply and rates will vary dependant on the items required and destination. If you would like to organise delivery outside of the UK, please contact us via the online form, ‘Contact Us’ and we can quote for shipping which will be additional to the item price. Payment will be arranged accordingly. The product information and photographs contained within this web-site are provided for illustrative purposes only and we cannot guarantee they are accurate. It is important that any measurements you provide are accurate and detailed correctly in your order as we only manufacture orders according to your instructions. We cannot accept the return of any item if the measurements provided are incorrect. You are advised to contact us via the enquiry form if you would like any guidance. Whilst every attempt will be made by Window Blind Spares to ensure the items sold and delivered to you match in every respect any sample or description shown or given or sent to you, any minor or immaterial variation or change in colour or pattern between the sample or description and the items delivered shall not entitle you to reject the items nor to claim any compensation for such variation or change. Any non made to measure products can be returned unused in original condition and suitable for re-sale within 7 days of the delivery date. All goods returned that are unwanted or ordered in error will be entitled to a refund excluding return postage costs. All goods will be checked before any refund given. If you any enquires please do not hesitate to contact us and we will do our best to help.